This version is a milestone in this mod's development. The campaign has been enhanced and corrected in all departments. Concerning multiplayer battles, many factions have been added, removed or merged. 500 units have been added, 100 removed, aiming at getting rid of the generic nameless 'recruit/standard/veteran' units. Significant gameplay changes were also brought. Soon the Lordz' new website will display with more details all informations about NTW3 and especially this version. The Italian and Swiss expeditions of 1799 and 1800 were undertaken by a combined Austro-Russian army under overall command of the Russian General Alexander Suvorov against French forces in Piedmont and Switzerland as part of the Italian campaigns of the French Revolutionary Wars. This faction has poor cavalry and artillery, but a very fast and efficient infantry, especially grenadiers. One of the best for aggressive tactics. After four years at war against France, the Spanish army became better organized and trained than it was in 1808. The already-existing Spanish faction has been renamed "Spain 1808". Spain 1812 still suffers from poorly effective cavalry, has less massive volunteer/militia force, but the regular troops have significantly improved since 1808. "People's uprising", mostly irregular troops who started the war against Napoléon and his brother. Like all irregular factions in NTW3, most of units can deploy anywhere on the map during deployment. The 'Levantamiento popular" has a mix of motivated trained infantry regiments and mobs of angry citizens. Like all Spanish rosters, cavalry is weak. A roster based on a conflict fought between the United States, the United Kingdom, and their respective allies. It mainly includes some well-trained British regiments, and a wide variety of Canadian fencibles and militias, plus some natives. This roster depicts Switzerland's army from 1798 to the fall of the Holy Roman Empire after the battle of Austerlitz. For an unknown reason the Swiss regiments were not at this time split in several batallions, unlike most other countries, so almost all units are very large. Before the Hundred Days Campaign in 1815, Napoléon has officially been the Emperor of Elba for almost one year, followed by his Old Guard and his most faithful soldiers. This roster is about them, and it is of course by far the weakest faction of NTW3. Now you cannot add chevrons to your units when building your army. Chevrons can only be gained during a battle. Each earned chevron gives +2 in accuracy / melee / charge / defense, and +10 in morale. All artilery costs have been drastically reduced. Round shots are also more powerful and far more effective at long range. Canister shots are also slightly more powerful. But reloading time after shooting canister has been considerably increased. Most foot artillery batteries now have more guns than in previous versions. Also, differences in reloading time between 3 and 12 pounders have been reduced. Infantry musket fire is more reactive, meaning you can have a more accurate management on that exact moment you want to open fire, usually a close-range volley against a cavalry charge. 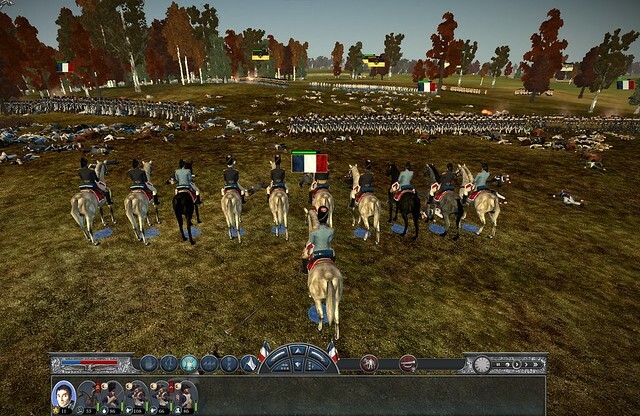 Cavalry units remain in a more organized formation during charges, but run slower. These factions have descriptions for all their units: Austria, Holy Roman Empire, Levantamiento popular, Portugal, Prussia 1806, Spain 1808, Spain 1812, United Kingdom 1815 + short translations for Mamelukes' units' name. 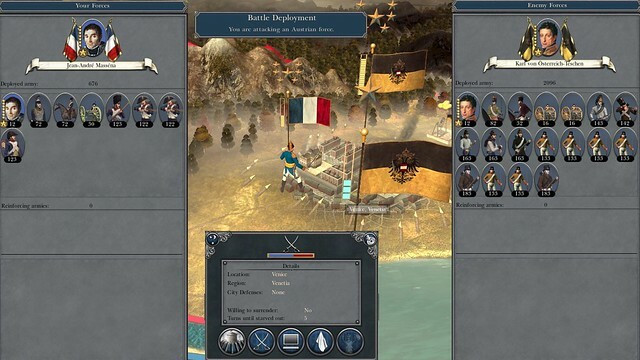 Many new generals, commanding but also fighting ones, have been added in almost all factions. It's a standalone version, you don't need any previous version. Installation process can take a while. Your anti-virus may initially block the install of the NTW3.exe file and ask you to authorize the installation. Launch the "NTW3 v7.5" shortcut on your desktop, or Napoleonic Total War III.exe in /data/NTW3/Launcher7.5 folder. Last edited by Herrputte on Sun Oct 01, 2017 2:48 pm, edited 2 times in total. Damn, didn't expect that much changes. Herrputte wrote: EDIT; in campaign it crashes everytime i select to handle a combat manually. Just tested SP Campaign battle with my French Marshall Massena attacking Arch Duke Charles in Venice. 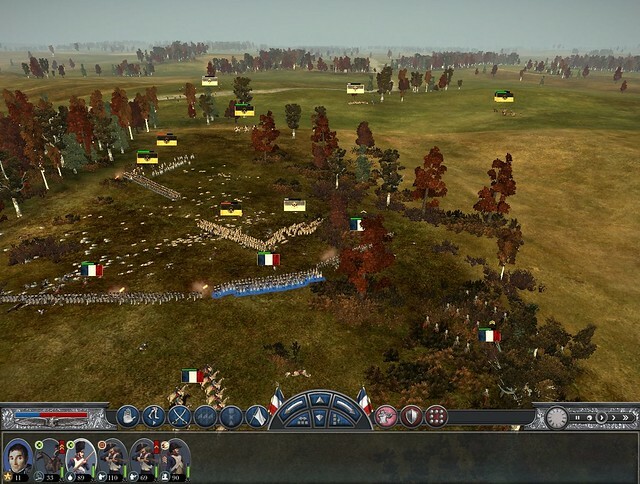 SPC battle AI is much improved, moved units around trying to out flank my French army and held formation. Super excited about this release! I am certain that it is due to my lack of modding knowledge but I am having trouble in that whenever I select the coalition campaigns option in the main menu, it crashes the game with no explanation. I have tried multiple installations and deleting the preferences file but no cigar. Any suggestions much appriciated, thanks all. Eh ben ! Enfin ! Sarcasm10 wrote: I am having trouble in that whenever I select the coalition campaigns option in the main menu, it crashes the game with no explanation. Thank you for the links but it does not seem to be a known problem so far as I can tell. I'll keep trying though. It is most strange because I have never come across such a problem with previous versions. Awesome job guys! Can't believe you all have been keeping up with this after all these years! Gonna dl this asap. I am sorry but despite total wipe and re-installation of the core game it crashes as hell in single player campaign. Much more, way more than 7.2 did. Its frankly put, unplayable. Something wrong have been made. Sarcasm10 wrote: Super excited about this release! I am certain that it is due to my lack of modding knowledge but I am having trouble in that whenever I select the coalition campaigns option in the main menu, it crashes the game with no explanation. I have tried multiple installations and deleting the preferences file but no cigar. Any suggestions much appriciated, thanks all. I am having the same problem as well, not sure why. I was playing a campaign just fine on 7.2 two days ago. Other than that, the new changes look great! Same problem here, MP battles work perfectly fine and they are beautiful, but the 1805 main campaign gives me a crash to desktop as soon as I click the "Campaigns of the Coalition" button. (Used to work fine before on every version and I have never messed up an installation) I do not know if it is the only campaign option that gives me a CTD, going to try Bavaria and Wurttemberg. Just tried Bavaria, Ottoman, and Wurttemberg campaigns and I have the same issue. I wonder why it's happening to only some people. Going to try compatibility mode maybe? I was very excited about the single-player campaign. I'll take a look and see if I can replicate this bug. Sarcasm10 wrote: I am having trouble in that whenever I select the coalition campaigns option in the main menu, it crashes the game with no explanation. I have tried multiple installations and deleting the preferences file but no cigar. Any suggestions much appriciated, thanks all. I have now completely uninstalled the game and deleted all files associated with it. I reinstalled the game and played a couple Vanilla battles and a bit of campaign, everything worked flawlessly. I installed NTW3 7.5, then the maps, and then the addon. I opened the launcher and selected classic battles. The game tried to launch but crashed instantly, I tried again several times and it kept crashing. After that, I tried opening the game through steam and it worked. I played several battles against the AI and the game was working flawlessly. I tried opening classic battles through the launcher again after that but it still crashed instantly. I tried opening the 1805 main campaign in the launcher and again it crashed instantly. I opened the game through steam and it launched succesfully, I tried opening the single player battlles option to check and see if all the maps were there and they weren't, which is good since that has always happened in previous versions of the mod when you opened the campaign option. I went back to the main menu and tried opening the Coallitions Campaign and I got an instant CTD again, same thing happened after several attempts. Finally, (THIS MIGHT BE THE MOST IMPORTANT PART FOR RESOLVING THESE ISSUES) I tried restoring the Vanilla files and again right when I used the option on the Launcher, the game tried to launch, but instantly crashed. I opened the game on steam and, to my surprise, the splash screen did not change. It was launching with the NTW3 splash screen. When I got to the main menu, it was the Vanilla main menu, vanilla worked perfectly fine, I could play my campaign, I could play Vanilla battles, everything was fine. The new colors for loading bars and everything that was added with 7.5 was in the game, though. That and the splash screen. Sorry for the long post, I just wanted to give as much feedback as possible so this is fixed for all the pople with the same issue of not being able to play the campaign. Maybe what is happening is that the launcher is not working properly for everyone?? Maybe the lauuncher is not moving the files around properly? Exactly the same as previous poster!